One of the great things about being a long time food stylist, besides the world-wide travel experiences, is the river of interns that flows through my life. They are often students from culinary institutes needing final credits to graduate through externships/internships usually 210 hours. Sometimes they are people tired of their careers and are looking to find work in something they love. Sometimes they are people from other countries who have found me through my website and choose to study with me. They are all interesting in their own ways, but some excel and create a special place in my heart. Their enthusiasm, brightness and joy bring me pleasure. I met Hoda this way. She was born and raised in Cairo by her mother, a doctor, and her father, and joined by several siblings, she being the oldest. She attended English speaking schools throughout her education, which prepared her for international work. 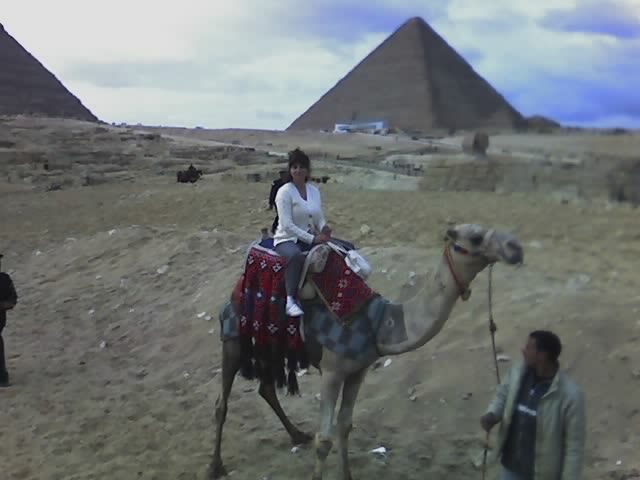 She came to study with me for 5 weeks in the early Spring of 2006, at the end of which time she invited me to come and stay with her and her husband in their house just outside Cairo for 3 weeks. She said Christmas time would be best because the weather would be cooler and they could take some time off to show me around due to their holidays. Hoda took care of all the plans for me. I bought the ticket 6 months in advance so that I could afford a first class ticket for the 12 hour flight. 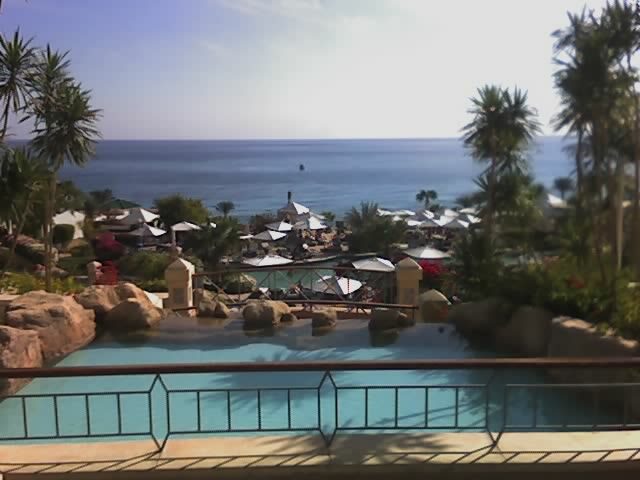 The day after my arrival, she and her husband, Hichim, drove me to the Hyatt Regency in Sharm El Sheikh, located on the southern most tip of the Sinai Peninsula on the Red Sea. 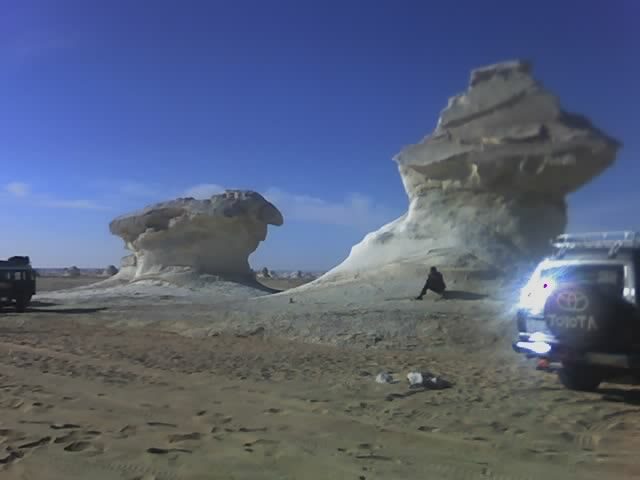 The five hour drive on a fairly smooth highway in a comfortable car took us through the expansive desert, Suez Canal, Bedouin encampments, and down the western coast of the Sinai, where a constant mountain range flanked our left and the sea our right. 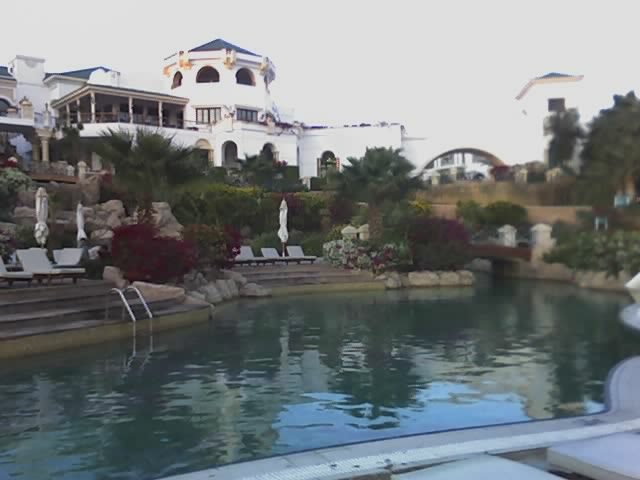 We arrived a little after noon to a luxurious, what looked like a 5 star hotel, terraced down the hillside through many waterfall fed pools until it reached the turquoise sea. As we perused our new Christmas Eve home away from home down the bougainvillea trimmed paths, we observed several different styles of restaurants to sate our hunger and thirst. We chose a casual looking poolside affair which offered and array of simple international food, including hamburgers and french fries. We were supplied with lemon scented finger bowls. Yes, another slice of heaven please? It is a very romantic place, and I left Hoda and Hichim for an evening alone while I attended a wine tasting event with assorted cheeses, breads and olives. My Aunt Jean called to wish me a happy holiday on my cell phone as I sat watching the moonlit sea. It was fun to catch up, as she had no idea she was calling me in Egypt. You never know where you are going to find me. The next morning, the sea was not clear enough at that time of year for scuba diving or snorkeling so we spent the day lounging. There was yet another restaurant next to the sea where flame grilled fish, salads and refreshments were prepared and served to us at our lounge chairs. Next time I’ll come when I can Scuba and snorkel. This paradise is renowned for being one of the best dive spots in the world. Hoda and Hichim talked about Sunday breakfast to come with glowing faces and wide eyes. It did live up to their reviews. It was served in a grand room with seating on it’s many terraces. 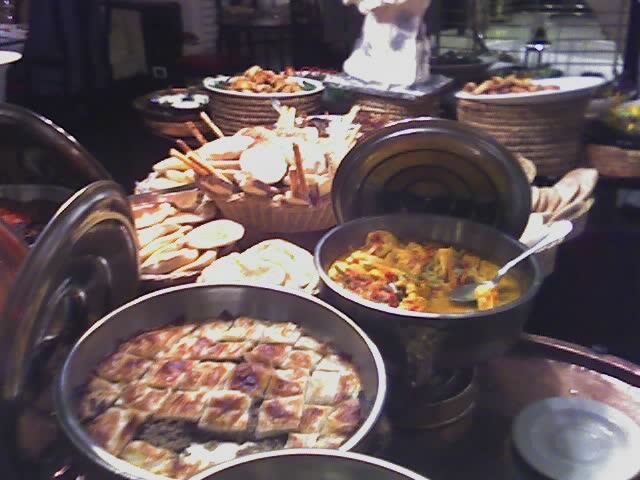 The buffet was a smorgasbord of countless Middle Eastern breakfast and lunch type dishes, as well as every kind of European and American style brunch fare. 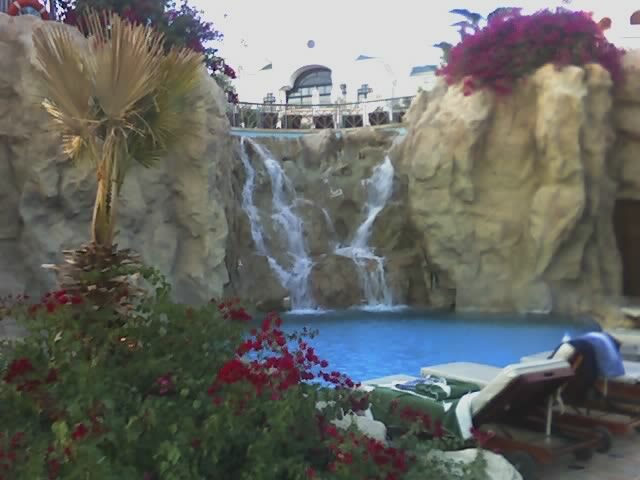 We were stuffed and relaxed pool side until it was time for our departure in the early afternoon. Before Hoda came to study with me she was a prop stylist in Cairo, one of biggest film capitals in the Mideast, next to Beirut, in print,TV and movies. Food stylists were usually imported for work from Italy and the likes. Hoda’s advertising and marketing friends urged her to become a food stylist. After her studies with me she became the first Egyptian food stylist. She was always interested in food and displayed her aptitude for styling it immediately. She was an instant hit. I am so proud of her. She is really a smart cookie. As the theme for my visit in Egypt was food, Hoda guided me through various forms of Egyptian Cuisine and other Middle Eastern Cuisines throughout our travels. Our first stop the day after we got back to Cairo was to the great pyramids. I was surprised that they were right in the middle of the old down town area. 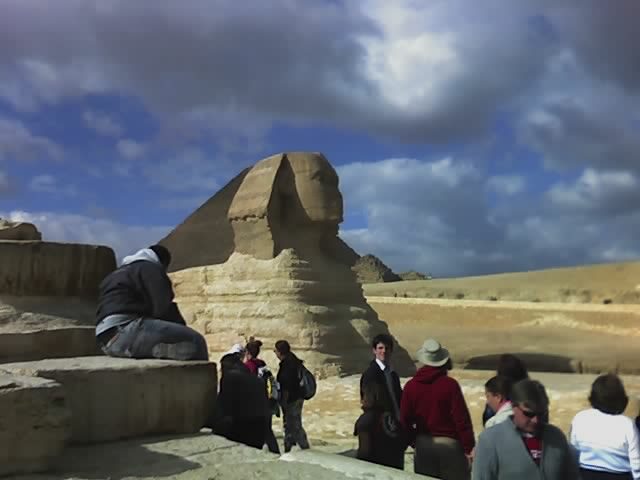 We went through them and into them, then took a camel ride around them and the Sphinx. 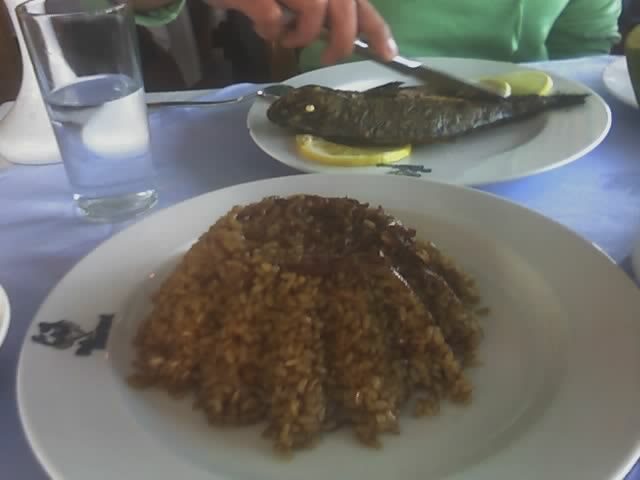 Afterwards, Hoda took me to a little hole in the wall eatery where only the locals eat. The menu was short with mostly soup & stew like fare, but it was tasty and filling. I never would have felt welcome without Hoda. She wore a head scarf out of respect for them. 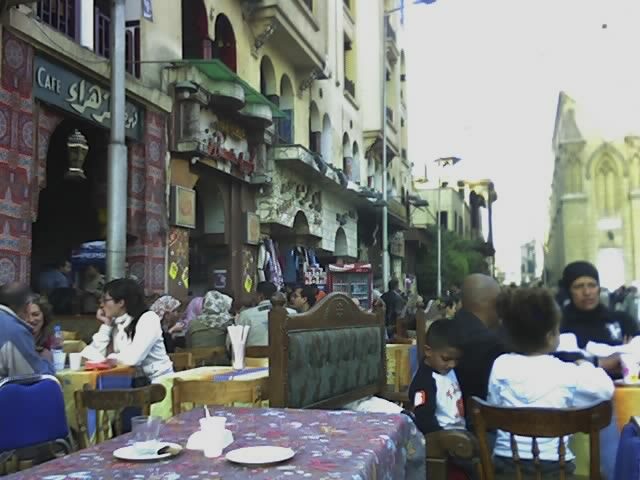 Next stop was the Cairo Bazaar called Khan El Khalili, a huge market with many winding alleys that are easy to get lost in, a virtual labyrinth. The goods sold vary from cafes, bakeries, food eateries to go, spices, gems, jewelery of every range, furnishings, hand blown glassware, and more. It is so endless that we could go on for days and not see it all. An occasional cat appears as we pass through the outer, well traveled parts of the bazaar. As we venture into the back alleys that are narrow, a bit dank with puddles in the rutted paths, we encounter many, many cats of all sizes and colors. It is a breeding ground for the untethered felines. It is quite and adventure. I feel safe with Hoda. In the morning Hoda took me to a place where there were street vendors selling pitas stuffed with fragrant smashed bean fillings to locals, the sandwich called ” foul” or fava beans, before touring the most prestigious ancient mosques, El- Sultan Hassan and El- Rifai, modern gardens and the 10th century St. Mark’s Coptic Orthodox Cathedral, located in the Abbassia District of Cairo . 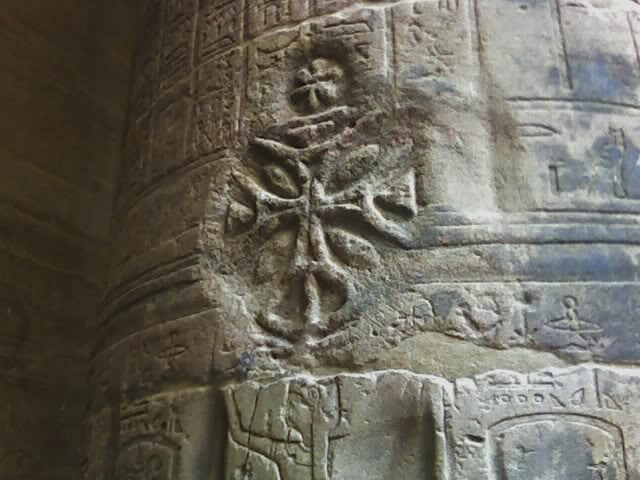 It is the current of the Coptic Orthodox Pope. During breakfast, we also pulled up to the curb where a small shop sold fresh juices. We were there for the freshly squeezed sugar cane juice, a must try at least once in your life experience. As soon as we pulled up, a man came to the car to take our order. Hoda explained that he didn’t work for the shop. There is so much unemployment that these men work for tips only. 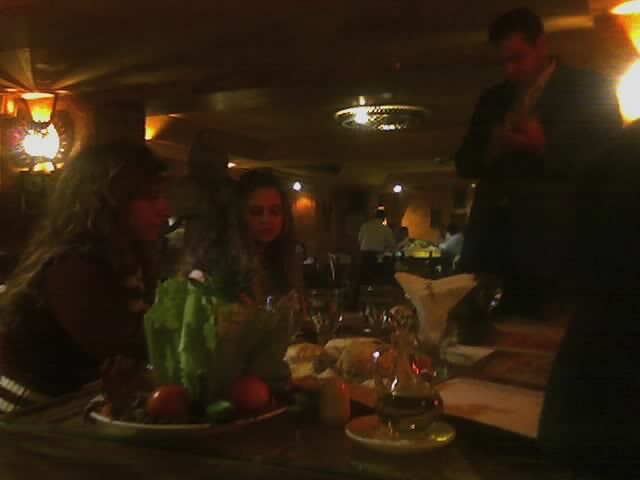 In the evenings we visited more upscale Egyptian, Lebanese, Turkish and other restaurants. What struck me the most is how the stuffed grape leaves differed from each other. The Egyptian ones are much thinner and longer and are more spiced on the inside with bits of nutti-fruitness, than any I have ever seen in other Mideastern fare. the Egyptian “tahina” has much more lemon juice and is very good. There are many types of Egyptian and middle Eastern salads, including the ubiquitous chopped cucumber, tomato, olive and feta, that is most commonly eaten stuffed into pitas for breakfast in Egypt. 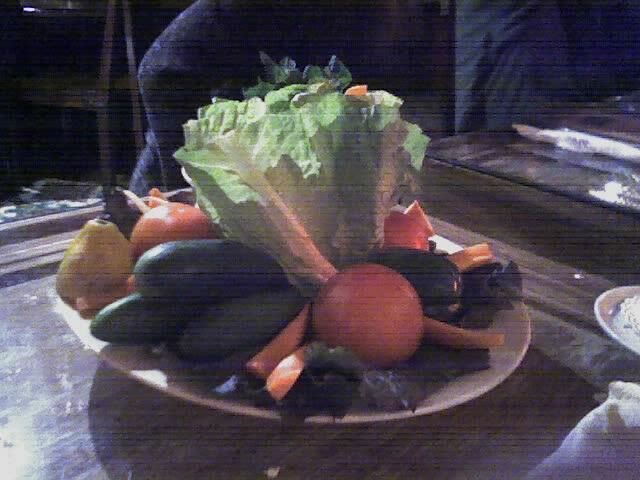 In most of the restaurants, if you ask for a green salad, you get a very comical looking bouquet of whole salad ingredients. One of Hoda’s sisters, Heba, takes part in an international group of young adults who gather to promote world peace through helping support cultural identity around the world. This time they were rebuilding an ancient communal building for the Bedouins in the White Desert west of Cairo. As a New Years Eve treat, to which I was invited, the Bedouin leader invited them to camp for two nights under the stars and full moon in traditional Bedouin style. Posts secured giant vertical nomad made carpets into a horseshoe shaped wind break. The ground was lined with carpets surrounding a giant bonfire. 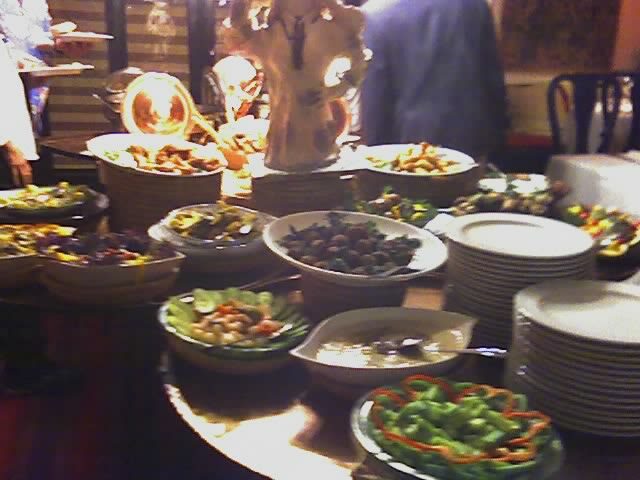 Here rustic meals were serves buffet style. On New Years Eve we enjoyed a belly dancer and a band. We danced and laughed around the fire. I was fortunate to have befriended a couple of Italian women who were not part of the international group, who had brought great Italian wines with them to celebrate. There were rows of white tents that we slept in six each, about 40 of us in all. 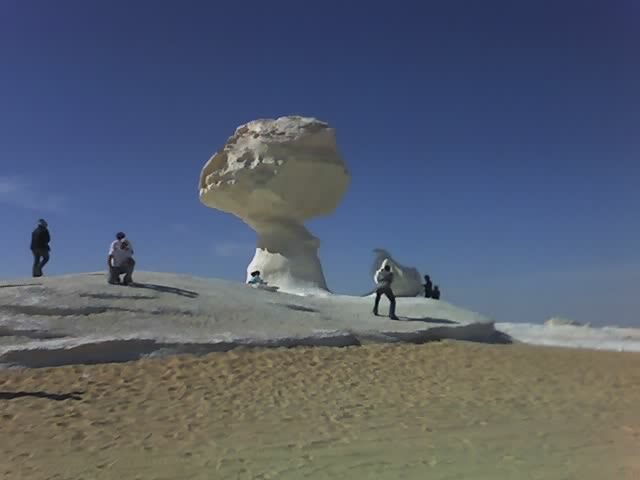 Night is most spectacular in the White Desert, which is a part of the Shara that has giant outcroppings of lime stone that have been wind sanded through the centuries into marvelous eerie shapes. With the full moon they reflect the light as if they were being illuminated from within. They are everywhere around us and provide so much visage that there is no need for flash lights to find out way back to our tents. The days are warm and the nights cold, as are most deserts. 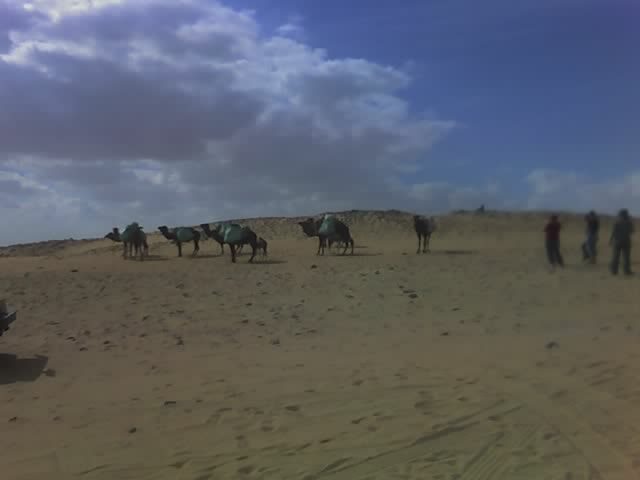 Caravans of nomads with camels laden with large blue bags are prevalent by day. 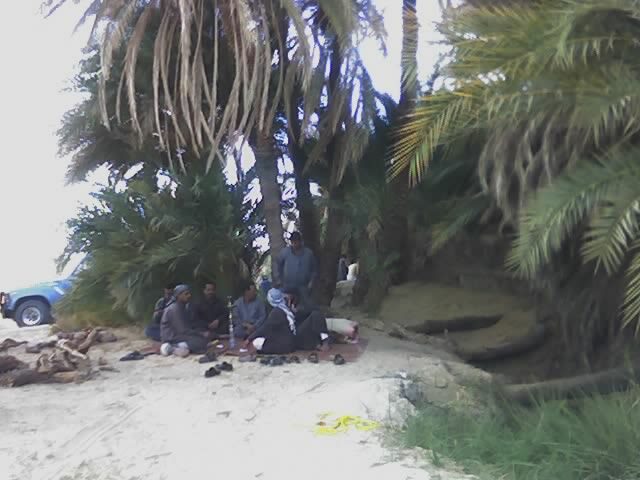 We venture to an oasis and see some of them resting for a drink, a meal and a smoke in the shade. Though the drive was long to and from Farafara and Cairo, the richness of the experience will remain forever as will most of the Egypt trip. The cosmopolitan seaside city of Alexandria, named for Alexander the Great, is a straight shot north from Cairo to the Mediterranean Sea at the end of the Nile River Delta. It was here I had the best crab meal I have ever had. Hoda knew the chef and was able to get the simple recipe for me. The crabs looked like American East Coast blue claw crabs and were just as sweet and tasty, but had smaller claws. They were grilled then cooked in a saute pan with onions and tomatoes. they took all the meat out of the crab and served it in the outer shell with claws for garnish. 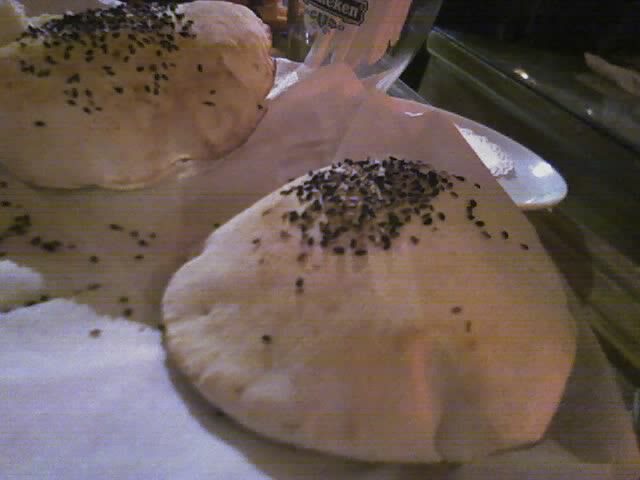 Upon being seated we were served an array of “salads” and freshly baked pitas from the beehive brick oven while we awaited our entrees. Alexandria is host to the modern Alexandria University and the newly rebuilt Library of Alexandria which once housed the grandest library in all the world until it was burned down during war with the Romans B.C. Along the highway from Cairo to Alexandria are many 4 story high white bullet shaped edifices studded with dinner plate sized holes from top to bottom. I learned from Hoda that they are pigeon homes, pigeon being a staple in Egyptian Cuisine. From that moment I knew I must try the indigenous dish. 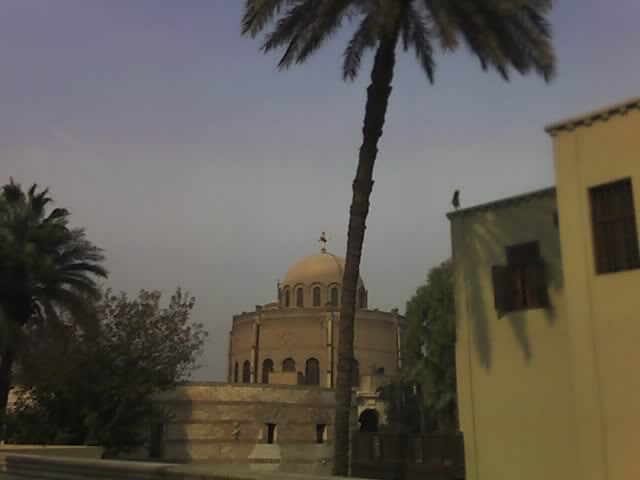 Halfway between Cairo and Alexandria is the home of Hoda’s parents. Hoda’s mom, Wedad, or more affectionately, Dody, invited us to a reunion of her class mates from medical school. They came from all over the world. They brought with them homemade Egyptian dishes. It was an amazing gathering of exquisite food, intellectual discourse, and family warmth. As we ate and talked, I felt honored to have been invited to such a distinguished event. I also got the recipes for a number of dishes, one of my favorites being the staple savory rice & milk casserole. It was on the last evening of the Nile river cruise in Luxor that I finally got to taste the fabulous indigenous pigeon dish, but I’ll get back to that. I flew into Aswan to board the elegant and cozy Sun Boat III, one of the older of the fleet, but much nicer than the larger more modern ships. The crew was friendly, warm and helpful, nearly numbering as many as the guests, which was about 100. We ate in two shifts with assigned tables in a smallish dining room. 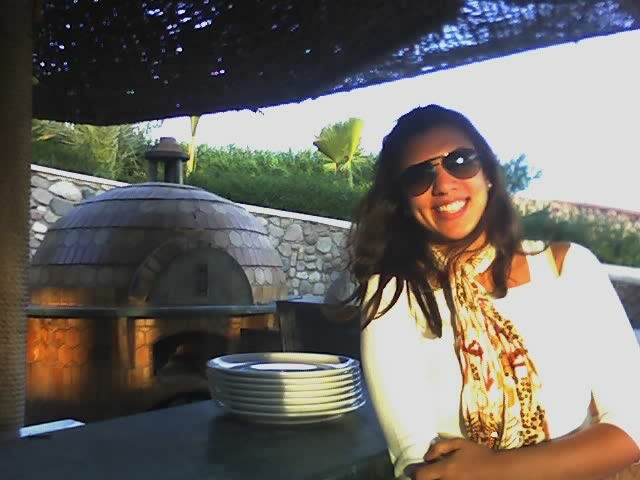 There was always a fabulous buffet, with drinks, soups, and entrees served to us by waiters who knew our names. 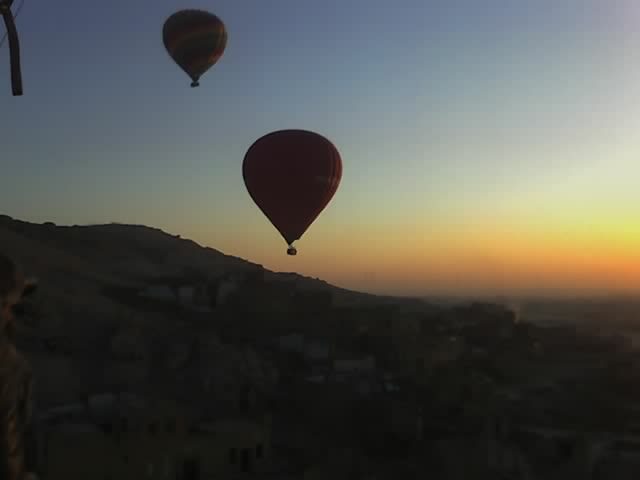 Our numerous daily excursions to ancient temples and tombs was punctuated by a dawn balloon ride over the Valley of the Kings. 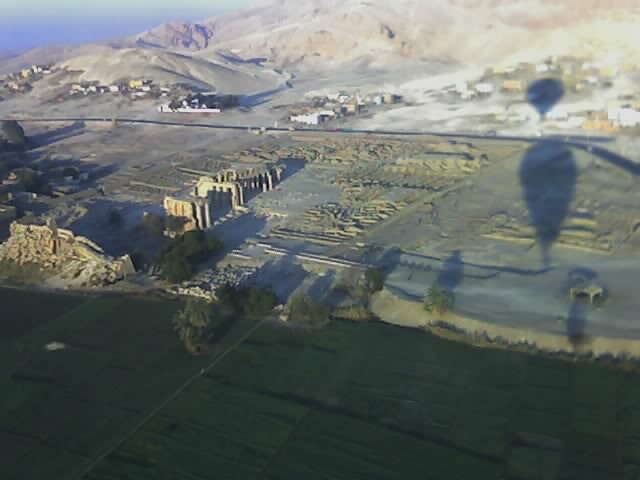 We cruised low enough to temple ruins to get ponderous bird’s eye views and landed from the ride in a sugar cane field aside the valley where we were escorted in vans to the tombs within, Tutankhamen’s among them. 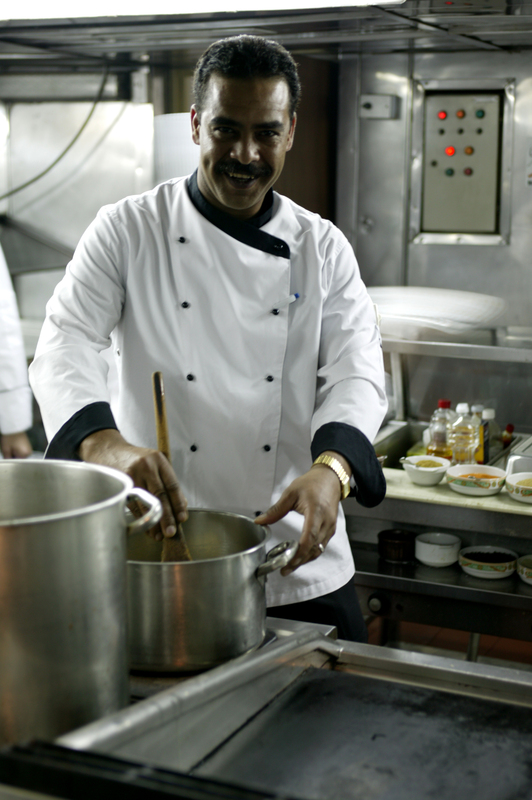 No voyage would be complete for me without a visit with the chef and a tour of the kitchen. I asked the boat manager if I could meet the head chef. I didn’t expect the royal attention I received when the head chef of the whole fleet showed up from another ship docked next to us in Luxor, fresh from serving a Royal Saudi family. 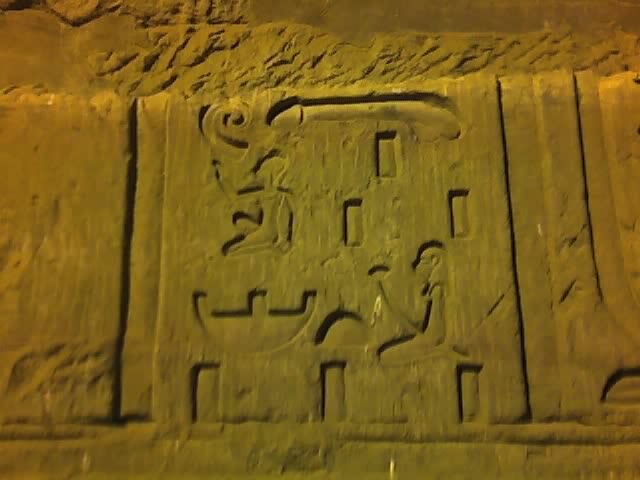 He invited me out to dinner, which included a tour of Luxor that most tourists don’t get. Ibraham was surprised when I told him I wanted to try the local pigeon dish. He said that tourist don’t normally eat pigeon. It was amazing. Ibraham explained to me how to make it. The bird is butterflied with many of the bones removed. It is stuffed with a well seasoned cooked rice and rolled and tied. 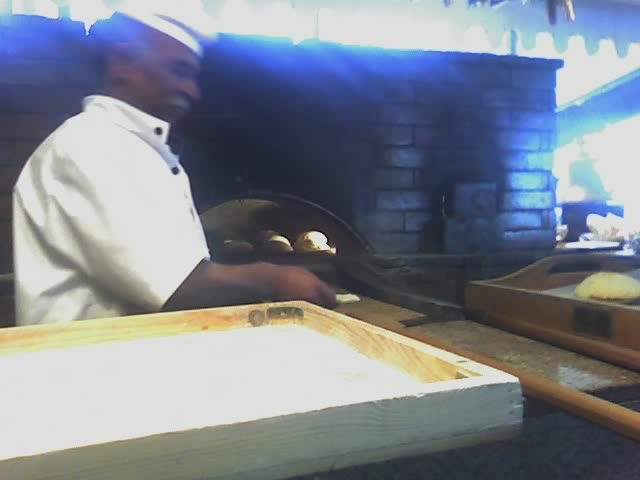 The skin is then seared to crispness in butter and baked to tenderness in an oven. To wrap up this post I’ll share with you some little known tidbits that you don’t usually see. 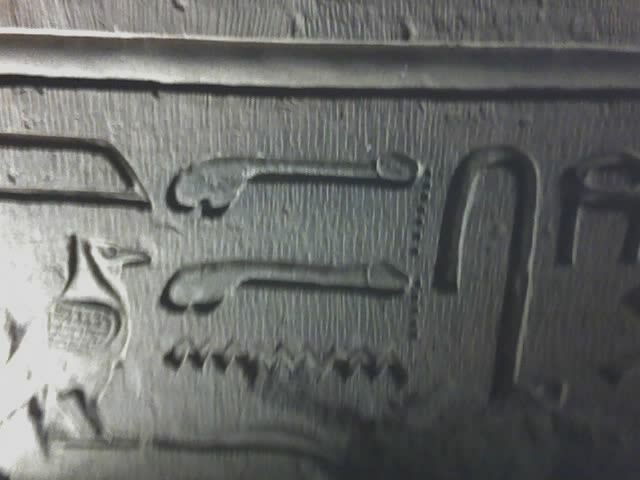 Below are some hieroglyphs that the ancient Egyptians carved and are seen everywhere.